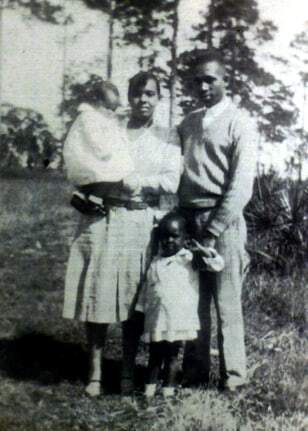 This photo released by Evangeline Moore shows a 1930s-era photo of her being held by her mother, Harriette, with her father Harry, and her sister Annie. Evangeline Moore's parents were killed in a bomb blast at their home in Mims, Fla., on Christmas Day in 1951. Investigators on Wednesday said four now-dead Klu Klux Klan members were behind the bombing.